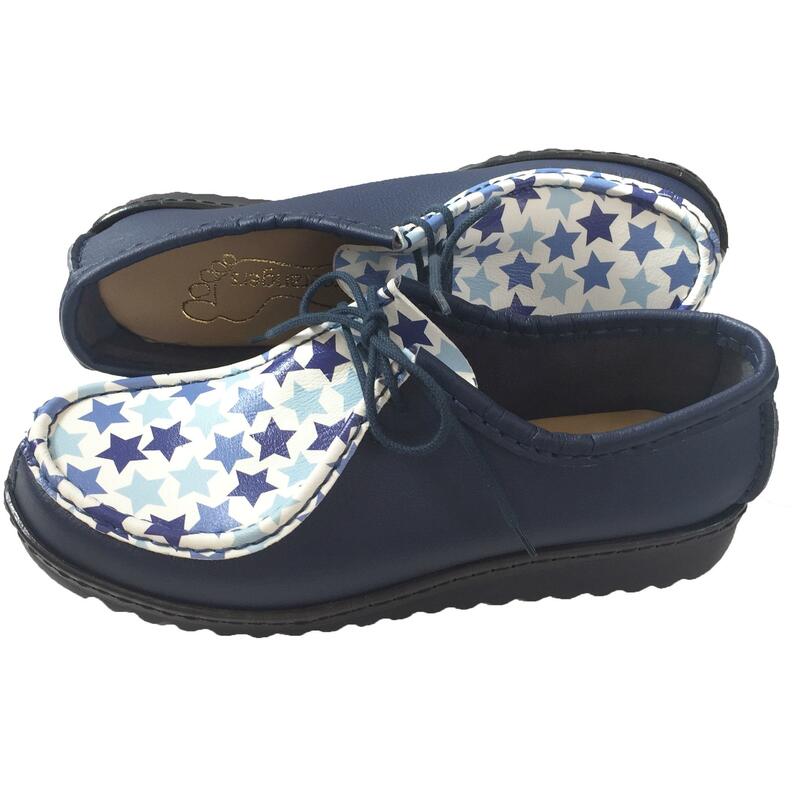 NEW Ladies shoes: the Suzy Shoes. Our traditional laced up loafers, but with contrasting fronts. Shown in the photograph is a pair made in a combination of Ink Blue with Corn Flower Fronts. These lovely shoes can be made in any combination of colours we have; we listed few options below, but if you have in mind different colour options - please let us know and we will make a very personal pair of shoes for you. For the contrasting fronts we have at the moment: star print, multicoloured dots print, daisy flowers print, cornflower prints and red lips print.